FWD trim, BRONZE DUNE METALLIC exterior and SAHARA BEIGE/JET BLACK ACCENTS OKAPI STRIPE DESIGNER WOOD TRIM interior. ..SATELLITE RADIO...IPOD/MP3 INPUT....PREMIUM SOUND SYSTEM....BACK-UP CAMERA.. FUEL EFFICIENT 26 MPG Hwy/19 MPG City! KEY FEATURES INCLUDE . BACK-UP CAMERA. PREMIUM SOUND SYSTEM. SATELLITE RADIO. IPOD/MP3 INPUT. ALUMINUM WHEELS. REAR SPOILER, MP3 PLAYER, ONBOARD HANDS-FREE COMMUNICATIONS SYSTEM, DUAL ZONE A/C, KEYLESS ENTRY. OPTION PACKAGES LPO, INTERIOR PROTECTION PACKAGE includes (CAV) All-Weather Cargo Tray, LPO and (VAV) All-Weather Floor Mats, LPO, LPO, WHEEL LOCK PACKAGE, ENGINE, 3.6L V6, DI, VVT, WITH AUTOMATIC STOP/START (310 hp [231 kW] @ 6600 rpm, 271 lb-ft of torque [366 N-m] @ 5000 rpm) (STD), TRANSMISSION, 8-SPEED AUTOMATIC (STD). Cadillac FWD with BRONZE DUNE METALLIC exterior and SAHARA BEIGE/JET BLACK ACCENTS OKAPI STRIPE DESIGNER WOOD TRIM interior features a V6 Cylinder Engine with 310 HP at 6600 RPM*. EXPERTS ARE SAYING Edmunds.com's review says With a striking interior and exterior design, the 2019 Cadillac XT5 stands out from its more conservatively styled rivals.. Great Gas Mileage: 26 MPG Hwy. OUR OFFERINGS For over 35 years John Vance Auto Group has been a comfortable place to buy a car. Serving the Oklahoma City metro area and with 11 domestic makes to choose from we are sure you can find the next car, truck or SUV of your dreams. The John Vance Auto Group is located just minutes north of Oklahoma City in Guthrie, OK on I-35 exit 153. Come see why the John Vance Auto Group is a comfortable place to buy a car. All prices include all applicable rebates and incentives. Horsepower calculations based on trim engine configuration. Fuel economy calculations based on original manufacturer data for trim engine configuration. Please confirm the accuracy of the included equipment by calling us prior to purchase. EPA 30 MPG Hwy/24 MPG City! ..SATELLITE RADIO...IPOD/MP3 INPUT....REMOTE ENGINE START.. DRIVER AWARENESS PACKAGE.BACK-UP CAMERA.. RADIANT SILVER METALLIC exterior and LIGHT PLATINUM /JET BLACK interior, FWD Premium Luxury trim KEY FEATURES INCLUDE . BACK-UP CAMERA. SATELLITE RADIO. IPOD/MP3 INPUT. ALUMINUM WHEELS. REMOTE ENGINE START. MP3 PLAYER, POWER LIFTGATE, ONBOARD HANDS-FREE COMMUNICATIONS SYSTEM, DUAL ZONE A/C, KEYLESS ENTRY. OPTION PACKAGES DRIVER AWARENESS PACKAGE includes (UHY) Low Speed Forward Automatic Braking, (UKJ) Front Pedestrian Braking, (UE4) Following Distance Indicator, (UEU) Forward Collision Alert, (UHX) Lane Keep Assist with Lane Departure Warning and (TQ5) IntelliBeam, ENGINE, 2.0L TURBO, 4-CYLINDER, SIDI (237 hp [177 kW] @ 5000 rpm, 258 lb-ft of torque [350 N-m] @ 1500-4000 rpm) (STD), TRANSMISSION, 9-SPEED AUTOMATIC electronically-controlled (STD). Cadillac FWD Premium Luxury with RADIANT SILVER METALLIC exterior and LIGHT PLATINUM /JET BLACK interior features a 4 Cylinder Engine with 237 HP at 5000 RPM*. EXPERTS ARE SAYING Great Gas Mileage: 30 MPG Hwy. WHY BUY FROM US For over 35 years John Vance Auto Group has been a comfortable place to buy a car. Serving the Oklahoma City metro area and with 11 domestic makes to choose from we are sure you can find the next car, truck or SUV of your dreams. The John Vance Auto Group is located just minutes north of Oklahoma City in Guthrie, OK on I-35 exit 153. Come see why the John Vance Auto Group is a comfortable place to buy a car. All prices include all applicable rebates and incentives. Horsepower calculations based on trim engine configuration. Fuel economy calculations based on original manufacturer data for trim engine configuration. Please confirm the accuracy of the included equipment by calling us prior to purchase. ..SATELLITE RADIO...IPOD/MP3 INPUT.. LPO, INTERIOR PROTECTION PACKAGE.PREMIUM SOUND SYSTEM.. EPA 26 MPG Hwy/19 MPG City! SHADOW METALLIC exterior and SAHARA BEIGE/JET BLACK ACCENTS OKAPI STRIPE DESIGNER WOOD TRIM interior, FWD trim KEY FEATURES INCLUDE . BACK-UP CAMERA. PREMIUM SOUND SYSTEM. SATELLITE RADIO. IPOD/MP3 INPUT. ALUMINUM WHEELS. REAR SPOILER, MP3 PLAYER, ONBOARD HANDS-FREE COMMUNICATIONS SYSTEM, DUAL ZONE A/C, PRIVACY GLASS. OPTION PACKAGES LPO, INTERIOR PROTECTION PACKAGE includes (CAV) All-Weather Cargo Tray, LPO and (VAV) All-Weather Floor Mats, LPO, ENGINE, 3.6L V6, DI, VVT, WITH AUTOMATIC STOP/START (310 hp [231 kW] @ 6600 rpm, 271 lb-ft of torque [366 N-m] @ 5000 rpm) (STD), TRANSMISSION, 8-SPEED AUTOMATIC (STD). Cadillac FWD with SHADOW METALLIC exterior and SAHARA BEIGE/JET BLACK ACCENTS OKAPI STRIPE DESIGNER WOOD TRIM interior features a V6 Cylinder Engine with 310 HP at 6600 RPM*. VEHICLE REVIEWS Edmunds.com explains With a striking interior and exterior design, the 2019 Cadillac XT5 stands out from its more conservatively styled rivals.. Great Gas Mileage: 26 MPG Hwy. WHY BUY FROM US For over 35 years John Vance Auto Group has been a comfortable place to buy a car. Serving the Oklahoma City metro area and with 11 domestic makes to choose from we are sure you can find the next car, truck or SUV of your dreams. The John Vance Auto Group is located just minutes north of Oklahoma City in Guthrie, OK on I-35 exit 153. Come see why the John Vance Auto Group is a comfortable place to buy a car. All prices include all applicable rebates and incentives. Horsepower calculations based on trim engine configuration. Fuel economy calculations based on original manufacturer data for trim engine configuration. Please confirm the accuracy of the included equipment by calling us prior to purchase. Sunroof, Heated Seats..BACK-UP CAMERA.. ENGINE, 3.6L V6, DI, VVT, WITH AUTOMA... Alloy Wheels. RADIANT SILVER METALLIC exterior and JET BLACK LUNAR BRUSHED ALUMINIUM TRIM interior, Luxury FWD trim. FUEL EFFICIENT 26 MPG Hwy/19 MPG City! KEY FEATURES INCLUDE . SUNROOF. PANORAMIC ROOF. REAR AIR. HEATED DRIVER SEAT. BACK-UP CAMERA. REAR SPOILER, MP3 PLAYER, ONBOARD HANDS-FREE COMMUNICATIONS SYSTEM, DUAL ZONE A/C, KEYLESS ENTRY. OPTION PACKAGES TRANSMISSION, 8-SPEED AUTOMATIC (STD), ENGINE, 3.6L V6, DI, VVT, WITH AUTOMATIC STOP/START (310 hp [231 kW] @ 6600 rpm, 271 lb-ft of torque [366 N-m] @ 5000 rpm) (STD). Cadillac Luxury FWD with RADIANT SILVER METALLIC exterior and JET BLACK LUNAR BRUSHED ALUMINIUM TRIM interior features a V6 Cylinder Engine with 310 HP at 6600 RPM*. EXPERTS ARE SAYING Edmunds.com's review says With a striking interior and exterior design, the 2019 Cadillac XT5 stands out from its more conservatively styled rivals.. Great Gas Mileage: 26 MPG Hwy. 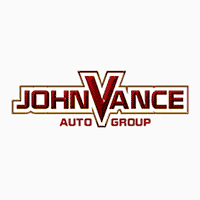 WHO WE ARE For over 35 years John Vance Auto Group has been a comfortable place to buy a car. Serving the Oklahoma City metro area and with 11 domestic makes to choose from we are sure you can find the next car, truck or SUV of your dreams. The John Vance Auto Group is located just minutes north of Oklahoma City in Guthrie, OK on I-35 exit 153. Come see why the John Vance Auto Group is a comfortable place to buy a car. All prices include all applicable rebates and incentives. Horsepower calculations based on trim engine configuration. Fuel economy calculations based on original manufacturer data for trim engine configuration. Please confirm the accuracy of the included equipment by calling us prior to purchase. FUEL EFFICIENT 30 MPG Hwy/24 MPG City! FWD Premium Luxury trim, RED HORIZON TINTCOAT exterior and SEDONA / JET BLACK interior. ..IPOD/MP3 INPUT....SATELLITE RADIO. Smart Device Integration..REMOTE ENGINE START.. TECHNOLOGY PACKAGE KEY FEATURES INCLUDE . BACK-UP CAMERA. SATELLITE RADIO. IPOD/MP3 INPUT. REMOTE ENGINE START. Smart Device Integration MP3 PLAYER, ONBOARD HANDS-FREE COMMUNICATIONS SYSTEM, DUAL ZONE A/C, KEYLESS ENTRY, CHILD SAFETY LOCKS. OPTION PACKAGES TECHNOLOGY PACKAGE includes (KEM) Air Ionizer, (UHS) 8 diagonal color reconfigurable gauge cluster, (UV6) Head-Up Display, (N38) power rake and telescoping steering column and (K4C) Wireless Charging Includes (T87) front cornering lamps and (UGC) LED front turn signal. ), WHEELS, 20 (50.8 CM) DYNAMIC 9-SPOKE ALLOY with Diamond Cut/Medium Android finish (Includes (XD9) 20 all-season tires. ), COMFORT AND CONVENIENCE PACKAGE includes (A7K) 8-way power passenger seat adjuster, (AF6) driver seat massage control, (AKE) front passenger seat massage control, (AVK) driver seat 4-way power lumbar control, (AVU) front passenger seat 4-way power lumbar control, (KU9) driver and front passenger ventilated seats and (TC2) Hands-Free Liftgate, COLD WEATHER PACKAGE includes (KA1) heated driver and front passenger seats, (KA6) heated rear outboard seating position seats and (KI3) automatic heated steering wheel, TRANSMISSION, 9-SPEED AUTOMATIC electronically-controlled (STD), ENGINE, 2.0L TURBO, 4-CYLINDER, SIDI (237 hp [177 kW] @ 5000 rpm, 258 lb-ft of torque [350 N-m] @ 1500-4000 rpm) (STD). EXPERTS CONCLUDE Great Gas Mileage: 30 MPG Hwy. All prices include all applicable rebates and incentives. Horsepower calculations based on trim engine configuration. Fuel economy calculations based on original manufacturer data for trim engine configuration. Please confirm the accuracy of the included equipment by calling us prior to purchase. Moonroof, Nav System, Cross-Traffic Alert..REMOTE ENGINE START....SATELLITE RADIO. Blind Spot Monitor. FWD Premium Luxury trim, STELLAR BLACK METALLIC exterior and JET BLACK interior. FUEL EFFICIENT 30 MPG Hwy/24 MPG City! KEY FEATURES INCLUDE . SATELLITE RADIO. REMOTE ENGINE START. Cross-Traffic Alert, Blind Spot Monitor, WiFi Hotspot ONBOARD HANDS-FREE COMMUNICATIONS SYSTEM, DUAL ZONE A/C, KEYLESS ENTRY, CHILD SAFETY LOCKS, ELECTRONIC STABILITY CONTROL. OPTION PACKAGES SUNROOF, POWER, DUAL PANEL GLASS, TILT/SLIDING, ENHANCED VISIBILITY PACKAGE includes (DRZ) Rear Camera Mirror, (CWA) Rear Camera Mirror Washer, (UV2) HD Surround Vision, (UKG) Automatic Parking Assist with braking and (DNP) outside heated power-adjustable, power-folding and driver-side auto-dimming mirrors with integrated turn signal indicators, CADILLAC USER EXPERIENCE WITH EMBEDDED NAVIGATION, AM/FM STEREO with connected navigation providing real-time traffic, 8 diagonal color information display, one type A and one type C full function USBs, personalized profiles for each driver's settings, Natural Voice Recognition, Phone Integration for Apple CarPlay and Android Auto capability for compatible phone, NFC (Near Field Communications) mobile device pairing, Connected Apps and Teen Driver, WHEELS, 20 (50.8 CM) DYNAMIC 9-SPOKE ALLOY with Diamond Cut/Medium Android finish (Includes (XD9) 20 all-season tires. ), COMFORT AND CONVENIENCE PACKAGE includes (A7K) 8-way power passenger seat adjuster, (AF6) driver seat massage control, (AKE) front passenger seat massage control, (AVK) driver seat 4-way power lumbar control, (AVU) front passenger seat 4-way power lumbar control All prices include all applicable rebates and incentives. Horsepower calculations based on trim engine configuration. Fuel economy calculations based on original manufacturer data for trim engine configuration. Please confirm the accuracy of the included equipment by calling us prior to purchase. Leather Seats..BACK-UP CAMERA.. Cross-Traffic Alert..SATELLITE RADIO...REMOTE ENGINE START....IPOD/MP3 INPUT.. STELLAR BLACK METALLIC exterior and SEDONA / JET BLACK interior, FWD Sport trim. FUEL EFFICIENT 30 MPG Hwy/24 MPG City! KEY FEATURES INCLUDE . BACK-UP CAMERA. SATELLITE RADIO. IPOD/MP3 INPUT. REMOTE ENGINE START. Cross-Traffic Alert MP3 PLAYER, ONBOARD HANDS-FREE COMMUNICATIONS SYSTEM, DUAL ZONE A/C, KEYLESS ENTRY, CHILD SAFETY LOCKS. OPTION PACKAGES COMFORT AND CONVENIENCE PACKAGE includes leather seating surfaces, (A7K) 8-way power passenger seat adjuster, (AF6) driver seat massage control, (AKE) front passenger seat massage control, (KU9) driver and front passenger ventilated seats and (TC2) Hands-Free Liftgate, SPORT DYNAMICS PREFERRED PACKAGE includes (RQ9) 20 Twin 5-spoke alloy wheels with Diamond Cut/Titan Satin finish and (F45) Active Sport Suspension, TECHNOLOGY PACKAGE includes (KEM) Air Ionizer, (UHS) 8 diagonal color reconfigurable gauge cluster, (UV6) Head-Up Display, (N38) power rake and telescoping steering column and (K4C) Wireless Charging, DRIVER ASSIST PACKAGE includes (KSG) Adaptive Cruise Control - Advanced and (UVZ) Forward and Reverse Automatic Braking, WHEELS, 20 (50.8 CM) TWIN 5-SPOKE ALLOY with Diamond Cut/Titan Satin finish Includes (XD9) 20 all-season tires. ), COLD WEATHER PACKAGE includes (KA1) heated driver and front passenger seats, (KA6) heated rear outboard seating position seats and (KI3) automatic heated steering wheel, DRIVER AWARENESS PACKAGE includes (UHY) Low Speed Forward Automatic Braking, (UKJ) Front Pedestrian Braking, (UE4) Following Distance Indicator, (UEU) Forward Collision Alert All prices include all applicable rebates and incentives. Horsepower calculations based on trim engine configuration. Fuel economy calculations based on original manufacturer data for trim engine configuration. Please confirm the accuracy of the included equipment by calling us prior to purchase. Nav System, Moonroof, Heated Seats..REAR AIR....BACK-UP CAMERA....PANORAMIC ROOF.. STELLAR BLACK METALLIC exterior and JET BLACK LUNAR BRUSHED ALUMINIUM TRIM interior, Luxury FWD trim. FUEL EFFICIENT 26 MPG Hwy/19 MPG City! KEY FEATURES INCLUDE . SUNROOF. PANORAMIC ROOF. REAR AIR. HEATED DRIVER SEAT. BACK-UP CAMERA. REAR SPOILER, ONBOARD HANDS-FREE COMMUNICATIONS SYSTEM, DUAL ZONE A/C, PRIVACY GLASS, KEYLESS ENTRY. OPTION PACKAGES CADILLAC USER EXPERIENCE WITH EMBEDDED NAVIGATION, AM/FM STEREO with 8 diagonal color information display, four USB ports, two auxiliary power outlets, auxiliary input jack, Natural Voice Recognition, Phone Integration for Apple CarPlay and Android Auto capability for compatible phone, Connected Apps and Teen Driver, LPO, INTERIOR PROTECTION PACKAGE includes (CAV) All-Weather Cargo Tray, LPO and (VAV) All-Weather Floor Mats, LPO, AUDIO SYSTEM FEATURE, BOSE STUDIO SURROUND SOUND 14-SPEAKER SYSTEM with surround amplifier, ENGINE, 3.6L V6, DI, VVT, WITH AUTOMATIC STOP/START (310 hp [231 kW] @ 6600 rpm, 271 lb-ft of torque [366 N-m] @ 5000 rpm) (STD), TRANSMISSION, 8-SPEED AUTOMATIC (STD). Cadillac Luxury FWD with STELLAR BLACK METALLIC exterior and JET BLACK LUNAR BRUSHED ALUMINIUM TRIM interior features a V6 Cylinder Engine with 310 HP at 6600 RPM*. EXPERTS CONCLUDE Edmunds.com explains With a striking interior and exterior design, the 2019 Cadillac XT5 stands out from its more conservatively styled rivals.. Great Gas Mileage: 26 MPG Hwy. MORE ABOUT US For over 35 years John Vance Auto Group has been a comfortable place to buy a car. Serving the Oklahoma City metro area and with 11 domestic makes to choose from we are sure you can find the next car All prices include all applicable rebates and incentives. Horsepower calculations based on trim engine configuration. Fuel economy calculations based on original manufacturer data for trim engine configuration. Please confirm the accuracy of the included equipment by calling us prior to purchase. Heated Seats, Nav System, Moonroof..REAR AIR....BACK-UP CAMERA....PANORAMIC ROOF.. EPA 26 MPG Hwy/19 MPG City! Luxury FWD trim, DARK MOCHA METALLIC exterior and SAHARA BEIGE/JET BLACK ACCENTS NATURAL SAPELE HIGH-GLOSS WOOD interior KEY FEATURES INCLUDE . SUNROOF. PANORAMIC ROOF. REAR AIR. HEATED DRIVER SEAT. BACK-UP CAMERA. REAR SPOILER, ONBOARD HANDS-FREE COMMUNICATIONS SYSTEM, DUAL ZONE A/C, PRIVACY GLASS, KEYLESS ENTRY. OPTION PACKAGES CADILLAC USER EXPERIENCE WITH EMBEDDED NAVIGATION, AM/FM STEREO with 8 diagonal color information display, four USB ports, two auxiliary power outlets, auxiliary input jack, Natural Voice Recognition, Phone Integration for Apple CarPlay and Android Auto capability for compatible phone, Connected Apps and Teen Driver, LPO, INTERIOR PROTECTION PACKAGE includes (CAV) All-Weather Cargo Tray, LPO and (VAV) All-Weather Floor Mats, LPO, AUDIO SYSTEM FEATURE, BOSE STUDIO SURROUND SOUND 14-SPEAKER SYSTEM with surround amplifier, ENGINE, 3.6L V6, DI, VVT, WITH AUTOMATIC STOP/START (310 hp [231 kW] @ 6600 rpm, 271 lb-ft of torque [366 N-m] @ 5000 rpm) (STD), TRANSMISSION, 8-SPEED AUTOMATIC (STD). Cadillac Luxury FWD with DARK MOCHA METALLIC exterior and SAHARA BEIGE/JET BLACK ACCENTS NATURAL SAPELE HIGH-GLOSS WOOD interior features a V6 Cylinder Engine with 310 HP at 6600 RPM*. EXPERTS ARE SAYING Edmunds.com's review says With a striking interior and exterior design, the 2019 Cadillac XT5 stands out from its more conservatively styled rivals.. Great Gas Mileage: 26 MPG Hwy. All prices include all applicable rebates and incentives. Horsepower calculations based on trim engine configuration. Fuel economy calculations based on original manufacturer data for trim engine configuration. Please confirm the accuracy of the included equipment by calling us prior to purchase. Sunroof, Navigation, Heated Seats..PANORAMIC ROOF....REAR AIR....BACK-UP CAMERA.. Luxury FWD trim, DARK GRANITE METALLIC exterior and JET BLACK LUNAR BRUSHED ALUMINIUM TRIM interior. FUEL EFFICIENT 26 MPG Hwy/19 MPG City! KEY FEATURES INCLUDE . SUNROOF. PANORAMIC ROOF. REAR AIR. HEATED DRIVER SEAT. BACK-UP CAMERA. REAR SPOILER, ONBOARD HANDS-FREE COMMUNICATIONS SYSTEM, DUAL ZONE A/C, KEYLESS ENTRY, PRIVACY GLASS. OPTION PACKAGES CADILLAC USER EXPERIENCE WITH EMBEDDED NAVIGATION, AM/FM STEREO with 8 diagonal color information display, four USB ports, two auxiliary power outlets, auxiliary input jack, Natural Voice Recognition, Phone Integration for Apple CarPlay and Android Auto capability for compatible phone, Connected Apps and Teen Driver, LPO, INTERIOR PROTECTION PACKAGE includes (CAV) All-Weather Cargo Tray, LPO and (VAV) All-Weather Floor Mats, LPO, LPO, WHEEL LOCK PACKAGE, AUDIO SYSTEM FEATURE, BOSE STUDIO SURROUND SOUND 14-SPEAKER SYSTEM with surround amplifier, ENGINE, 3.6L V6, DI, VVT, WITH AUTOMATIC STOP/START (310 hp [231 kW] @ 6600 rpm, 271 lb-ft of torque [366 N-m] @ 5000 rpm) (STD), TRANSMISSION, 8-SPEED AUTOMATIC (STD). Cadillac Luxury FWD with DARK GRANITE METALLIC exterior and JET BLACK LUNAR BRUSHED ALUMINIUM TRIM interior features a V6 Cylinder Engine with 310 HP at 6600 RPM*. EXPERTS CONCLUDE With a striking interior and exterior design, the 2019 Cadillac XT5 stands out from its more conservatively styled rivals. -Edmunds.com. Great Gas Mileage: 26 MPG Hwy. All prices include all applicable rebates and incentives. Horsepower calculations based on trim engine configuration. Fuel economy calculations based on original manufacturer data for trim engine configuration. Please confirm the accuracy of the included equipment by calling us prior to purchase. Nav System, Moonroof, CADILLAC USER EXPERIENCE WITH EMBEDDED NAVIGATION, AM/FM STEREO..REMOTE ENGINE START.. FUEL EFFICIENT 30 MPG Hwy/24 MPG City! FWD Premium Luxury trim, STELLAR BLACK METALLIC exterior and JET BLACK interior. KEY FEATURES INCLUDE . SATELLITE RADIO. REMOTE ENGINE START. ONBOARD HANDS-FREE COMMUNICATIONS SYSTEM, DUAL ZONE A/C, KEYLESS ENTRY, CHILD SAFETY LOCKS, ELECTRONIC STABILITY CONTROL. OPTION PACKAGES SUNROOF, POWER, DUAL PANEL GLASS, TILT/SLIDING, ENHANCED VISIBILITY PACKAGE includes (DRZ) Rear Camera Mirror, (CWA) Rear Camera Mirror Washer, (UV2) HD Surround Vision, (UKG) Automatic Parking Assist with braking and (DNP) outside heated power-adjustable, power-folding and driver-side auto-dimming mirrors with integrated turn signal indicators, CADILLAC USER EXPERIENCE WITH EMBEDDED NAVIGATION, AM/FM STEREO with connected navigation providing real-time traffic, 8 diagonal color information display, one type A and one type C full function USBs, personalized profiles for each driver's settings, Natural Voice Recognition, Phone Integration for Apple CarPlay and Android Auto capability for compatible phone, NFC (Near Field Communications) mobile device pairing, Connected Apps and Teen Driver, WHEELS, 20 (50.8 CM) DYNAMIC 9-SPOKE ALLOY with Diamond Cut/Medium Android finish (Includes (XD9) 20 all-season tires. ), COMFORT AND CONVENIENCE PACKAGE includes (A7K) 8-way power passenger seat adjuster, (AF6) driver seat massage control, (AKE) front passenger seat massage control, (AVK) driver seat 4-way power lumbar control, (AVU) front passenger seat 4-way power lumbar control, (KU9) driver and front passenger ventilated seats and (TC2) Hands-Free Liftgate All prices include all applicable rebates and incentives. Horsepower calculations based on trim engine configuration. Fuel economy calculations based on original manufacturer data for trim engine configuration. Please confirm the accuracy of the included equipment by calling us prior to purchase. Moonroof, Nav System, Heated Seats..REAR AIR....BACK-UP CAMERA.. FUEL EFFICIENT 26 MPG Hwy/19 MPG City! Luxury FWD trim, CRYSTAL WHITE TRICOAT exterior and CIRRUS W/ DARK TITANIUM ACCENTS DIAMOND CUT ALUMINIUM TRIM interior. KEY FEATURES INCLUDE . SUNROOF. PANORAMIC ROOF. REAR AIR. HEATED DRIVER SEAT. BACK-UP CAMERA. REAR SPOILER, ONBOARD HANDS-FREE COMMUNICATIONS SYSTEM, DUAL ZONE A/C, PRIVACY GLASS, KEYLESS ENTRY. OPTION PACKAGES CADILLAC USER EXPERIENCE WITH EMBEDDED NAVIGATION, AM/FM STEREO with 8 diagonal color information display, four USB ports, two auxiliary power outlets, auxiliary input jack, Natural Voice Recognition, Phone Integration for Apple CarPlay and Android Auto capability for compatible phone, Connected Apps and Teen Driver, LPO, INTERIOR PROTECTION PACKAGE includes (CAV) All-Weather Cargo Tray, LPO and (VAV) All-Weather Floor Mats, LPO, AUDIO SYSTEM FEATURE, BOSE STUDIO SURROUND SOUND 14-SPEAKER SYSTEM with surround amplifier, ENGINE, 3.6L V6, DI, VVT, WITH AUTOMATIC STOP/START (310 hp [231 kW] @ 6600 rpm, 271 lb-ft of torque [366 N-m] @ 5000 rpm) (STD), TRANSMISSION, 8-SPEED AUTOMATIC (STD). Cadillac Luxury FWD with CRYSTAL WHITE TRICOAT exterior and CIRRUS W/ DARK TITANIUM ACCENTS DIAMOND CUT ALUMINIUM TRIM interior features a V6 Cylinder Engine with 310 HP at 6600 RPM*. EXPERTS ARE SAYING With a striking interior and exterior design, the 2019 Cadillac XT5 stands out from its more conservatively styled rivals. -Edmunds.com. Great Gas Mileage: 26 MPG Hwy. All prices include all applicable rebates and incentives. Horsepower calculations based on trim engine configuration. Fuel economy calculations based on original manufacturer data for trim engine configuration. Please confirm the accuracy of the included equipment by calling us prior to purchase. Sunroof, Heated Seats, Navigation..REAR AIR....BACK-UP CAMERA.. Luxury FWD trim, CRYSTAL WHITE TRICOAT exterior and SAHARA BEIGE/JET BLACK ACCENTS NATURAL SAPELE HIGH-GLOSS WOOD interior. FUEL EFFICIENT 26 MPG Hwy/19 MPG City! KEY FEATURES INCLUDE . SUNROOF. PANORAMIC ROOF. REAR AIR. HEATED DRIVER SEAT. BACK-UP CAMERA. REAR SPOILER, ONBOARD HANDS-FREE COMMUNICATIONS SYSTEM, DUAL ZONE A/C, PRIVACY GLASS, KEYLESS ENTRY. OPTION PACKAGES CADILLAC USER EXPERIENCE WITH EMBEDDED NAVIGATION, AM/FM STEREO with 8 diagonal color information display, four USB ports, two auxiliary power outlets, auxiliary input jack, Natural Voice Recognition, Phone Integration for Apple CarPlay and Android Auto capability for compatible phone, Connected Apps and Teen Driver, LPO, INTERIOR PROTECTION PACKAGE includes (CAV) All-Weather Cargo Tray, LPO and (VAV) All-Weather Floor Mats, LPO, AUDIO SYSTEM FEATURE, BOSE STUDIO SURROUND SOUND 14-SPEAKER SYSTEM with surround amplifier, ENGINE, 3.6L V6, DI, VVT, WITH AUTOMATIC STOP/START (310 hp [231 kW] @ 6600 rpm, 271 lb-ft of torque [366 N-m] @ 5000 rpm) (STD), TRANSMISSION, 8-SPEED AUTOMATIC (STD). Cadillac Luxury FWD with CRYSTAL WHITE TRICOAT exterior and SAHARA BEIGE/JET BLACK ACCENTS NATURAL SAPELE HIGH-GLOSS WOOD interior features a V6 Cylinder Engine with 310 HP at 6600 RPM*. EXPERTS ARE SAYING With a striking interior and exterior design, the 2019 Cadillac XT5 stands out from its more conservatively styled rivals. -Edmunds.com. Great Gas Mileage: 26 MPG Hwy. All prices include all applicable rebates and incentives. Horsepower calculations based on trim engine configuration. Fuel economy calculations based on original manufacturer data for trim engine configuration. Please confirm the accuracy of the included equipment by calling us prior to purchase. Moonroof, Nav System..REMOTE ENGINE START.. Blind Spot Monitor..BACK-UP CAMERA....SATELLITE RADIO. WiFi Hotspot. FUEL EFFICIENT 30 MPG Hwy/24 MPG City! FWD Premium Luxury trim, CRYSTAL WHITE TRICOAT exterior and JET BLACK interior KEY FEATURES INCLUDE . BACK-UP CAMERA. SATELLITE RADIO. REMOTE ENGINE START. Blind Spot Monitor, WiFi Hotspot ONBOARD HANDS-FREE COMMUNICATIONS SYSTEM, DUAL ZONE A/C, KEYLESS ENTRY, CHILD SAFETY LOCKS, ELECTRONIC STABILITY CONTROL. OPTION PACKAGES TECHNOLOGY PACKAGE includes (KEM) Air Ionizer, (UHS) 8 diagonal color reconfigurable gauge cluster, (UV6) Head-Up Display, (N38) power rake and telescoping steering column and (K4C) Wireless Charging Includes (T87) front cornering lamps and (UGC) LED front turn signal. ), SUNROOF, POWER, DUAL PANEL GLASS, TILT/SLIDING, CADILLAC USER EXPERIENCE WITH EMBEDDED NAVIGATION, AM/FM STEREO with connected navigation providing real-time traffic, 8 diagonal color information display, one type A and one type C full function USBs, personalized profiles for each driver's settings, Natural Voice Recognition, Phone Integration for Apple CarPlay and Android Auto capability for compatible phone, NFC (Near Field Communications) mobile device pairing, Connected Apps and Teen Driver, WHEELS, 20 (50.8 CM) DYNAMIC 9-SPOKE ALLOY with Diamond Cut/Medium Android finish (Includes (XD9) 20 all-season tires. ), DRIVER ASSIST PACKAGE includes (KSG) Adaptive Cruise Control - Advanced and (UVZ) Forward and Reverse Automatic Braking, COMFORT AND CONVENIENCE PACKAGE includes (A7K) 8-way power passenger seat adjuster, (AF6) driver seat massage control, (AKE) front passenger seat massage control All prices include all applicable rebates and incentives. Horsepower calculations based on trim engine configuration. Fuel economy calculations based on original manufacturer data for trim engine configuration. Please confirm the accuracy of the included equipment by calling us prior to purchase. Nav System, Leather..BACK-UP CAMERA.. WiFi Hotspot..REMOTE ENGINE START....SATELLITE RADIO. Turbo Charged Engine, TRANSMISSION, 8-SPEED AUTOMATIC. BLACK RAVEN exterior and JET BLACK interior, RWD trim. EPA 30 MPG Hwy/22 MPG City! KEY FEATURES INCLUDE . BACK-UP CAMERA. SATELLITE RADIO. ALUMINUM WHEELS. REMOTE ENGINE START. WiFi Hotspot. ONBOARD HANDS-FREE COMMUNICATIONS SYSTEM, DUAL ZONE A/C, KEYLESS ENTRY, REMOTE TRUNK RELEASE, STEERING WHEEL CONTROLS. OPTION PACKAGES SEATING PACKAGE includes leather seating surfaces, (AM9) split-folding rear seat, (KA1)/(KB6) heated/ventilated driver and front passenger seats, (DR2) outside, heated, power-adjustable, driver-side auto-dimming, body-color, manual folding mirrors with integrated turn signal indicators and puddle lamps, (TSP) LED ambient lighting on instrument panel and door, (KI3) automatic heated steering wheel and (N38) power tilt and telescoping steering wheel, CADILLAC USER EXPERIENCE WITH EMBEDDED NAVIGATION AM/FM stereo with connected navigation providing real-time traffic, 8 diagonal color information display, two USB ports, personalized profiles for each driver's settings, Natural Voice Recognition, Phone Integration for Apple CarPlay and Android Auto capability for compatible phone, Connected Apps and Teen Driver, LPO, ALL-WEATHER MAT PROTECTION PACKAGE includes (VAV) Premium all-weather floor mats, LPO and (VLI) Premium all-weather cargo mat, LPO, TRANSMISSION, 8-SPEED AUTOMATIC (STD), AUDIO SYSTEM FEATURE, BOSE CENTERPOINT SURROUND SOUND 13-SPEAKER SYSTEM includes Active Noise Cancellation, ENGINE, 2.0L TURBO, I4, DI, DOHC, VVT with Automatic Stop/Start (268 hp [200 kW] @ 5600 rpm All prices include all applicable rebates and incentives. Horsepower calculations based on trim engine configuration. Fuel economy calculations based on original manufacturer data for trim engine configuration. Please confirm the accuracy of the included equipment by calling us prior to purchase. Moonroof, Nav System, Leather, WiFi Hotspot, Turbo Charged Engine..REMOTE ENGINE START....BACK-UP CAMERA.. FWD Sport trim, CRYSTAL WHITE TRICOAT exterior and JET BLACK W/ CINNAMON ACCENTS interior. FUEL EFFICIENT 30 MPG Hwy/24 MPG City! KEY FEATURES INCLUDE . BACK-UP CAMERA. SATELLITE RADIO. REMOTE ENGINE START. WiFi Hotspot, Cross-Traffic Alert. ONBOARD HANDS-FREE COMMUNICATIONS SYSTEM, DUAL ZONE A/C, KEYLESS ENTRY, CHILD SAFETY LOCKS, HEATED MIRRORS. OPTION PACKAGES COMFORT AND CONVENIENCE PACKAGE includes leather seating surfaces, (A7K) 8-way power passenger seat adjuster, (AF6) driver seat massage control, (AKE) front passenger seat massage control, (KU9) driver and front passenger ventilated seats and (TC2) Hands-Free Liftgate, SPORT DYNAMICS PREFERRED PACKAGE includes (RQ9) 20 Twin 5-spoke alloy wheels with Diamond Cut/Titan Satin finish and (F45) Active Sport Suspension, SUNROOF, POWER, DUAL PANEL GLASS, TILT/SLIDING, CADILLAC USER EXPERIENCE WITH EMBEDDED NAVIGATION, AM/FM STEREO with connected navigation providing real-time traffic, 8 diagonal color information display, one type A and one type C full function USBs, personalized profiles for each driver's settings, Natural Voice Recognition, Phone Integration for Apple CarPlay and Android Auto capability for compatible phone, NFC (Near Field Communications) mobile device pairing, Connected Apps and Teen Driver, TECHNOLOGY PACKAGE includes (KEM) Air Ionizer, (UHS) 8 diagonal color reconfigurable gauge cluster, (UV6) Head- Up Display, (N38) power rake and telescoping steering column and (K4C) Wireless Charging, WHEELS EXPERTS ARE SAYING Great Gas Mileage: 30 MPG Hwy. All prices include all applicable rebates and incentives. Horsepower calculations based on trim engine configuration. Fuel economy calculations based on original manufacturer data for trim engine configuration. Please confirm the accuracy of the included equipment by calling us prior to purchase. Sunroof, NAV, Heated/Cooled Leather Seats..REAR AIR....HEATED REAR SEAT.. CADILLAC USER EXPERIENCE WITH EMBEDDE... PHANTOM GRAY METALLIC exterior and SHALE / JET BLACK ACCENTS interior, Premium Luxury trim. EPA 28 MPG Hwy/19 MPG City! KEY FEATURES INCLUDE . LEATHER SEATS. REAR AIR. HEATED DRIVER SEAT. HEATED REAR SEAT. COOLED DRIVER SEAT. ONBOARD HANDS-FREE COMMUNICATIONS SYSTEM, DUAL ZONE A/C, KEYLESS ENTRY, REMOTE TRUNK RELEASE, CHILD SAFETY LOCKS. OPTION PACKAGES SEATS, FRONT BUCKET, 22-WAY ADJUSTABILITY WITH MASSAGE FEATURE, SUNROOF, ULTRAVIEW, POWER, TRANSMISSION, 6-SPEED AUTOMATIC electronically controlled (STD), ENGINE, 3.6L SIDI DOHC V6 VVT (304 hp [227 kW] @ 6800 rpm, 264 lb-ft of torque [358 N-m] @ 5300 rpm) (STD), CADILLAC USER EXPERIENCE WITH EMBEDDED NAVIGATION AM/FM stereo with connected navigation providing real-time traffic, 8 diagonal color information display, one type A and one type C full function USBs, personalized profiles for each driver's settings, Natural Voice Recognition, Phone Integration for Apple CarPlay and Android Auto capability for compatible phone, Collection and Teen Driver (Includes (UQS) Bose Studio Surround Sound 14-speaker system.) (STD). Cadillac Premium Luxury with PHANTOM GRAY METALLIC exterior and SHALE / JET BLACK ACCENTS interior features a V6 Cylinder Engine with 304 HP at 6800 RPM*. EXPERTS REPORT KBB.com's review says The XTS delivers full-size room and comfort with good road manners and plenty of power at a price thousands below most foreign challengers.. Great Gas Mileage: 28 MPG Hwy. All prices include all applicable rebates and incentives. Horsepower calculations based on trim engine configuration. Fuel economy calculations based on original manufacturer data for trim engine configuration. Please confirm the accuracy of the included equipment by calling us prior to purchase. Navigation, Heated/Cooled Leather Seats..HEATED REAR SEAT....SATELLITE RADIO. TRANSMISSION, 6-SPEED AUTOMATIC. Luxury trim, CRYSTAL WHITE TRICOAT exterior and SHALE / JET BLACK ACCENTS interior. EPA 28 MPG Hwy/19 MPG City! KEY FEATURES INCLUDE . LEATHER SEATS. HEATED DRIVER SEAT. HEATED REAR SEAT. COOLED DRIVER SEAT. SATELLITE RADIO. ONBOARD HANDS-FREE COMMUNICATIONS SYSTEM, DUAL ZONE A/C, KEYLESS ENTRY, REMOTE TRUNK RELEASE, CHILD SAFETY LOCKS. OPTION PACKAGES DRIVER AWARENESS PACKAGE includes Safety Alert Seat, (UKC) Lane Change Alert with Side Blind Zone Alert, (UFG) Rear Cross-Traffic Alert, (UE4) Following Distance Indicator, (UEU) Forward Collision Alert, (UVH) Surround Vision and (UHY) Low Speed Forward Automatic Braking, LPO, INTERIOR PROTECTION PACKAGE includes (VAV) All-weather floor mats, LPO and (VLI) All-weather cargo mat, LPO, CADILLAC USER EXPERIENCE WITH EMBEDDED NAVIGATION AM/FM stereo with connected navigation providing real-time traffic, 8 diagonal color information display, one type A and one type C full function USBs, personalized profiles for each driver's settings, Natural Voice Recognition, Phone Integration for Apple CarPlay and Android Auto capability for compatible phone, Connected Apps and Teen Driver (Includes (UQA) Bose premium 8-speaker system.) (STD), ENGINE, 3.6L SIDI DOHC V6 VVT (304 hp [227 kW] @ 6800 rpm, 264 lb-ft of torque [358 N-m] @ 5300 rpm) (STD), TRANSMISSION, 6-SPEED AUTOMATIC electronically controlled (STD). Cadillac Luxury with CRYSTAL WHITE TRICOAT exterior and SHALE / JET BLACK ACCENTS interior features a V6 Cylinder Engine with 304 HP at 6800 RPM*. EXPERTS RAVE Great Gas Mileage: 28 MPG Hwy. All prices include all applicable rebates and incentives. Horsepower calculations based on trim engine configuration. Fuel economy calculations based on original manufacturer data for trim engine configuration. Please confirm the accuracy of the included equipment by calling us prior to purchase. Heated Leather Seats, Sunroof, NAV..REAR AIR....PANORAMIC ROOF.. TRANSMISSION, 8-SPEED AUTOMATIC, CADILLAC USER EXPERIENCE WITH EMBEDDE.....ALL WHEEL DRIVE.. Premium Luxury AWD trim, BLACK RAVEN exterior and JET BLACK interior. KEY FEATURES INCLUDE . LEATHER SEATS. SUNROOF. PANORAMIC ROOF. ALL WHEEL DRIVE. REAR AIR. ONBOARD HANDS-FREE COMMUNICATIONS SYSTEM, DUAL ZONE A/C, REMOTE TRUNK RELEASE, KEYLESS ENTRY, STEERING WHEEL CONTROLS. OPTION PACKAGES TRANSMISSION, 8-SPEED AUTOMATIC (STD), ENGINE, 3.6L V6, SIDI, DOHC, VVT with Active Fuel Management and Automatic Stop/Start (335 hp [250 kW] @ 6800 rpm, 285 lb-ft of torque [386 N-m] @ 5300 rpm) (STD), CADILLAC USER EXPERIENCE WITH EMBEDDED NAVIGATION AM/FM stereo with connected navigation providing real-time traffic, 8 diagonal color information display, three USB ports, personalized profiles for each driver's settings, Natural Voice Recognition, Phone Integration for Apple CarPlay and Android Auto capability for compatible phone, Collection and Teen Driver (STD). Cadillac Premium Luxury AWD with BLACK RAVEN exterior and JET BLACK interior features a V6 Cylinder Engine with 335 HP at 6800 RPM*. EXPERTS ARE SAYING newCarTestDrive.com explains The front seats are exceptionally comfortable; wide, deep and not too soft. Ready for journeys, long hours in the saddle.. WHO WE ARE For over 35 years John Vance Auto Group has been a comfortable place to buy a car. Serving the Oklahoma City metro area and with 11 domestic makes to choose from we are sure you can find the next car, truck or SUV of your dreams. The John Vance Auto Group is located just minutes north of Oklahoma City in Guthrie, OK on I-35 exit 153. Come see why the John Vance Auto Group is a comfortable place to buy a car. All prices include all applicable rebates and incentives. Horsepower calculations based on trim engine configuration. Please confirm the accuracy of the included equipment by calling us prior to purchase. Nav System, Heated/Cooled Leather Seats, Moonroof, ENGINE, 3.6L SIDI DOHC V6 VVT.SATELLITE RADIO. SUNROOF, ULTRAVIEW, POWER. FUEL EFFICIENT 28 MPG Hwy/19 MPG City! BLACK RAVEN exterior and JET BLACK interior, Luxury trim. KEY FEATURES INCLUDE . LEATHER SEATS. HEATED DRIVER SEAT. HEATED REAR SEAT. COOLED DRIVER SEAT. SATELLITE RADIO. ONBOARD HANDS-FREE COMMUNICATIONS SYSTEM, DUAL ZONE A/C, REMOTE TRUNK RELEASE, KEYLESS ENTRY, STEERING WHEEL CONTROLS. OPTION PACKAGES DRIVER AWARENESS PACKAGE includes Safety Alert Seat, (UKC) Lane Change Alert with Side Blind Zone Alert, (UFG) Rear Cross-Traffic Alert, (UE4) Following Distance Indicator, (UEU) Forward Collision Alert, (UVH) Surround Vision and (UHY) Low Speed Forward Automatic Braking, SUNROOF, ULTRAVIEW, POWER, LPO, INTERIOR PROTECTION PACKAGE includes (VAV) All-weather floor mats, LPO and (VLI) All-weather cargo mat, LPO, ENGINE, 3.6L SIDI DOHC V6 VVT (304 hp [227 kW] @ 6800 rpm, 264 lb-ft of torque [358 N-m] @ 5300 rpm) (STD), CADILLAC USER EXPERIENCE WITH EMBEDDED NAVIGATION AM/FM stereo with connected navigation providing real-time traffic, 8 diagonal color information display, one type A and one type C full function USBs, personalized profiles for each driver's settings, Natural Voice Recognition, Phone Integration for Apple CarPlay and Android Auto capability for compatible phone, Connected Apps and Teen Driver (Includes (UQA) Bose premium 8-speaker system.) (STD), TRANSMISSION, 6-SPEED AUTOMATIC electronically controlled (STD). Cadillac Luxury with BLACK RAVEN exterior and JET BLACK interior features a V6 Cylinder Engine with 304 HP at 6800 RPM*. EXPERTS RAVE Great Gas Mileage: 28 MPG Hwy. All prices include all applicable rebates and incentives. Horsepower calculations based on trim engine configuration. Fuel economy calculations based on original manufacturer data for trim engine configuration. Please confirm the accuracy of the included equipment by calling us prior to purchase.